We want to buy Girl Scout cookies to make yummy shakes, pies, and Hi-Tops. We got SOO many amazing "Asks" that we can't decide. That's where you come in. Vote for your favorite submission below. Remember to support your local Girl Scouts! To purchase Girl Scout Cookies, please visit girlscoutcookies.org to find a cookie booth near you! We love that these 2 are sisters! Ten year old, Zara wrote us a letter in Chinese on behalf of her troop, which was then translated into English for us to read and enjoy. Thank you, Zara! *click on image to read the letter. Okay. This one is pretty darn cute. The kindergarteners from Troop 57597 sang this amazing rendition of "Do You Want to Build a Snowman," from Frozen with a clever Hi-Lo Diner twist. We love it and it totally made us all tear up. Troop 17784 out of Longfellow searched their awesome neighborhood HI and LO for inspiration for their ask! We love our neighborhood, too! Troop 27349 is a multi-age troop comprised of K, 1st, and 2nd graders from two different schools to form a troop of 27 awesome and fearless girls. We love that these girls come together from different schools. Their submission is their own version of "Heigh Ho" from Snow White. We love a good classic. 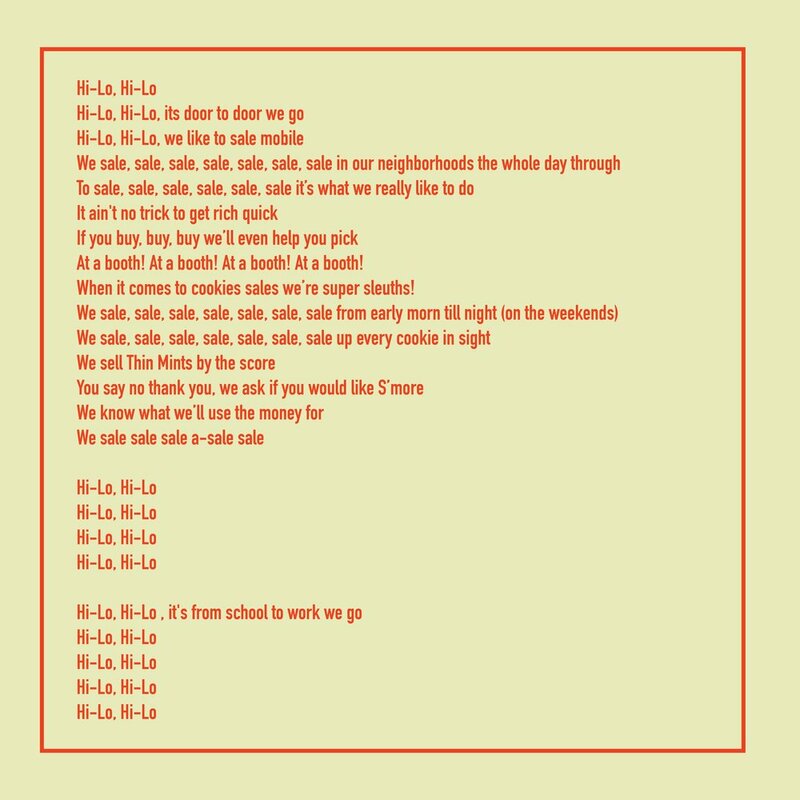 *click on image to read the lyrics. This 3rd grade Brownie troop put together a video skit as their submission. We love their creativity! We like the attitudes of these girls! Troop 16228 is a 5th-6th Grade group of Girl Scouts out of Robbinsdale. They have been together for five years and love spending time together as a troop! This is a great little poem from Katelyn of troop 57242. The troop also does some really great charity work including donating money to buy things for the homeless. Keep it up girls! *click on image to read the poem. We like the social commentary as well as the fact that the girls edited the video themselves! 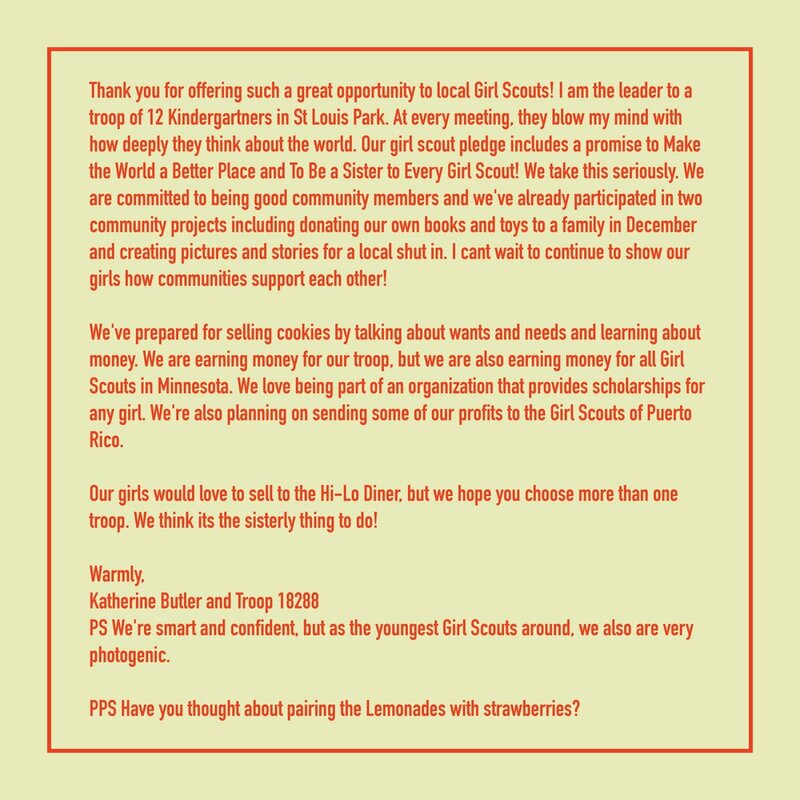 We love that this troop supports the Girl Scouts of Puerto Rico! *click on image to read the ask.